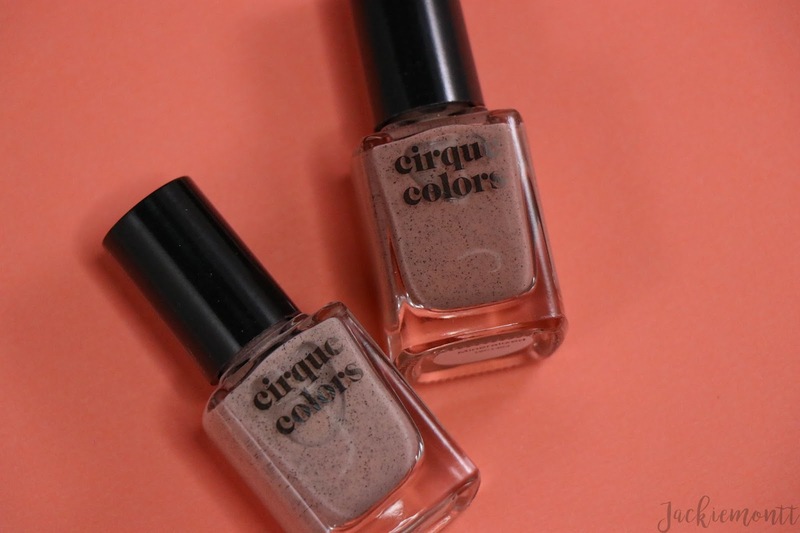 I picked up two of these Cirque Colors polishes, a new to me brand, for the first installment of my "New Hues" series -- a series where I test out new (to me) brands, give an in-depth background to the brand, and a full review of the products I picked up! What is the New Hues Series? Hello, lovelies! Today I am so so excited to be launching a brand new series on the blog -- New Hues! In this series, I plan to post every other week (for now), products from a brand that I have never tried before. I will be giving background into the new brand, and then, will do a full review of the products! I am so excited to explore the beauty and nail world, and expand the brands that I use every day! I will always be open to suggestions for new brands to test out, so if you have any that you're looking into, please leave them down in the comments. The first brand that I am featuring in my New Hues series is Cirque Colors! 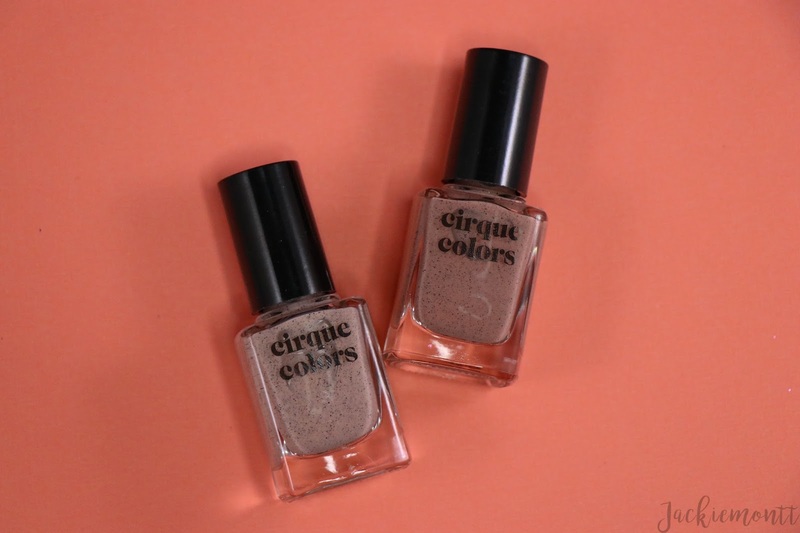 Cirque Colors was founded in 2012 "out of a desire to transcend the limited color palettes of conventional nail polish brands." According to their site, all Cirque Colors products are non-toxic, 4-free, vegan & cruelty-free. They are also all designed and handmade in Brooklyn, NY! Each of their polishes are 0.37 oz (the typical OPI Polish has 0.5 oz) and their prices range from $12.50-$14 per bottle depending on the finish. For an indie brand -- I think that's a pretty great price! I had been intrigued by Cirque for a while now, but just could not justify buying a full collection from them because my polish collection is so large, but when I saw these Speckled Polishes from their Desert Bloom Collection, I KNEW I had to have them. Their speckled polishes are made with irregular-shaped flake pigments which gives it a unique, spotted finish. 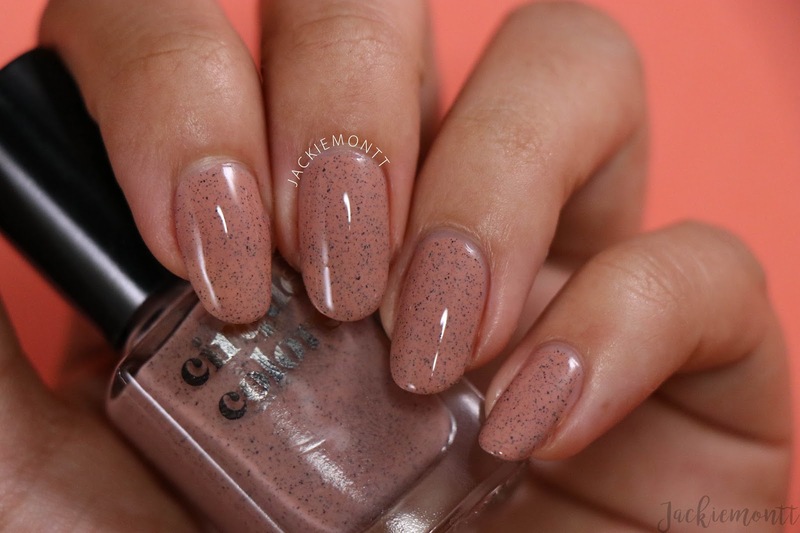 PEBBLE | Pebble is a sheer beige-pink nail polish with fine black specks. I honestly think these polishes are SO gorgeous, and I love the way they look on the nail. Pebble has a really smooth creme formula that is packed with the black flecks and dries very shiny. You can see the dimension of the flecks gets so pretty as you layer. I got Pebble opaque in 2-3 coats. MINERALIZED | Mineralized is a muted terracotta nail polish with fine black specks. I think this is such a pretty shade for spring, and after swatching this kept it on for a couple of days -- which is long for me! Again this is an amazing creme formula with the black flecks, that dries very shiny, and built up beautifully in 2 coats. Overall, I am so impressed with these Cirque polishes! I know I've only tried one formula, but I am picking up a few others today that I hope to swatch and review this month. The formula on these was buttery smooth, ultra shiny, and just fun to apply because of the unique flakies in there. The only downfall is, the black flakes love to stick to the nail when you remove the polish, but if you use the tin-foil method they come right off. What do you think of these polishes? Do you like the effect or not? Let me know down below! And also leave any brands you'd like me to check out in the future.